Exorcism movies strike me as being analogous to boxing movies in many ways. In boxing movies, the protagonists are as much fighting themselves as they are their opponents. In exorcism movies, the process of removing a demonic spirit is as much about the priest's struggle with faith as it is a fight for the possessed individual's soul. And just like boxing movies, exorcism movies have their standard set of clichés that go along with the predetermined internal struggle. Of course there is going to be a contortionist playing one of the possessed individuals in an exorcism film. Of course the priest is going to be taunted with a personal failure by the demon (not unlike a boxing coach ironically). Of course the evil believes in the main character, even if the main character doesn’t believe in the evil (trite tagline growing triter by the day). And of course the demon will return for a rematch, oops, I mean posses someone else in the sequel. So in The Rite, it should come as no surprise that principal protagonist Michael Kovack (Colin O'Donoghue) is a young man who is deep in a crisis of faith when we join him upon completing seminary. Michael couldn't be named after Michael the Archangel, the one who leads God's army against the Devil. Screenwriter Michael Petroni wouldn't be that obvious would he? I'm chalking it up to coincidence. Anyway, compounding this crisis is that one of the main reasons he has attended seminary is that it is the only profession that his father will accept other than the family biz, a funeral home. After completing his study, but before taking his final vows, Michael plans on leaving church. 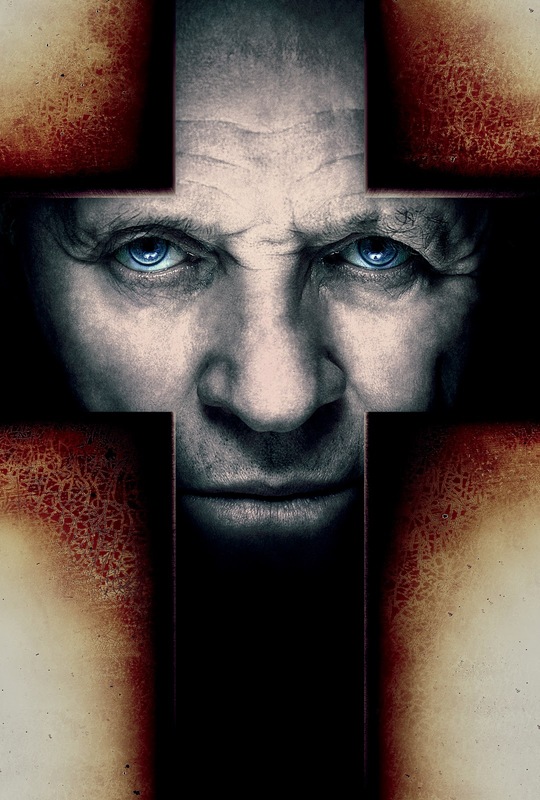 However, Father Matthew (Toby Jones, W.) calls Michael on his shenanigans, and promises to convert his scholarship into student loans unless he at least gives the Church one more chance by attending a class on exorcism in Vatican City. Michael goes of course, it would be quite a short film if he didn’t, and butts heads with the professor, Father Xavier (Ciaran Hinds). Fr. Xavier then sends Michael to meet Father Lucas (Anthony Hopkins), a legendary exorcist operating out of Rome, hoping that some time in Fr. Lucas’ ministry will help resolve Michael’s doubt. While this movie wasn’t a game changer or anything of the sort, the character development that takes place during the first half of the film is quite mature and intelligent, especially when one takes into account that this is a PG-13 horror film. The movie is very frank in terms of presenting Michael’s doubt, and the plotline depicting Michael’s uncertainty about the vows of celibacy is fascinating, if undeveloped. He is still attracted to women, most prominently a reporter in the exorcism class (Alice Braga, Predators), though this plotline doesn’t really go further in presenting Michael’s confusion. Fr. Lucas talks openly with his battles with depression and talks of individuals who have passed on under his care with both regret and acceptance. All of this is really Grade A dramatic material, but then somewhere around the halfway mark, the film turns into a bit more of a standard horror film, with jump out scares and other camera tricks. The dramatic material might have benefited if the exorcism sequences a little more “low key,” and it retained its focus on the characters. Admittedly, however, the makeup and digital effects on the final exorcism were effectively creepy. Do demons posses frogs or were they just chosen by the production staff for their plauge like characteristics? A major character in Michael's life may or may not have been possessed. This could just be the possessing spirits messing with him, but it wasn't 100% clear. I think the exorcists in the film basically left a possessed kid without help, then never commented on it again. Oh crap, did we forget about that kid? I can definitely recommend this film, though it may have a bit of trouble finding an audience. It’s a bit too cerebral for the gore audience, and it’s a bit creepy for general audiences. Those with an open mind will likely have an enjoyable time. It’s easy to see why Hopkins chose this film as the script gives him plenty of dramatic scenery to chew, especially once the twist comes into play, which might have been better if it were not revealed in the trailer. Mikael Håfström (1408) directs, eliciting good performances and supervising a solid visual palette. "Suggested" from the book The Rite: The Making of a Modern Exorcist by Matt Baglio. Rutger Hauer also stars.